Wait for it as this stylish crossover is coming to Malaysia very soon. This DS 3 Crossback is a vehicle of distinctive sculptural styling and exceptional proportions, available in 100% ICE (Internal Combustion Engines – petrol & diesel) and 100% Electric versions, featuring exclusive technologies and taking refinement to the extreme. Built on Groupe PSA’s all-new ‘Common Modular Platform’ (CMP), it opens new horizons in both technology and styling. DS 3 Crossback is both a city car and a long-distance road car. 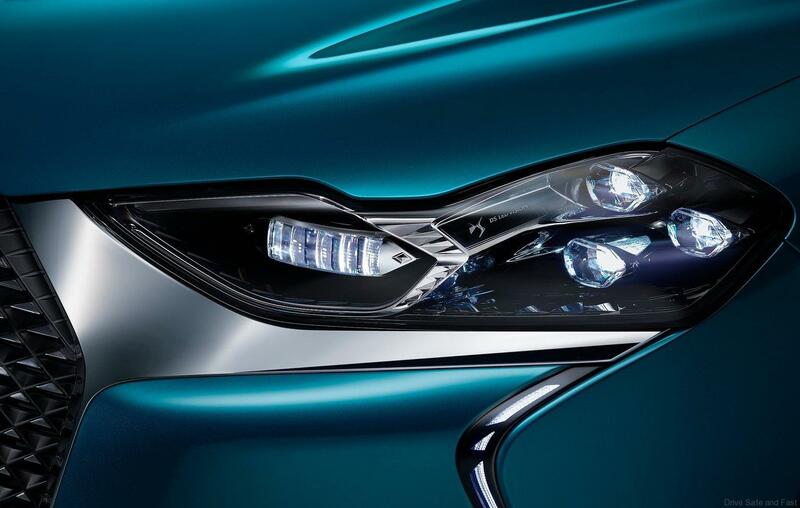 Pushing conventions aside, it opts for spectacular technologies including DS MATRIX LED VISION headlights, flush door handles that deploy automatically and a fully digital driving display. These avant-garde features go hand in hand with a sense of refined comfort, a rich array of safety equipment and driver assistance functions, and unequalled acoustic excellence. 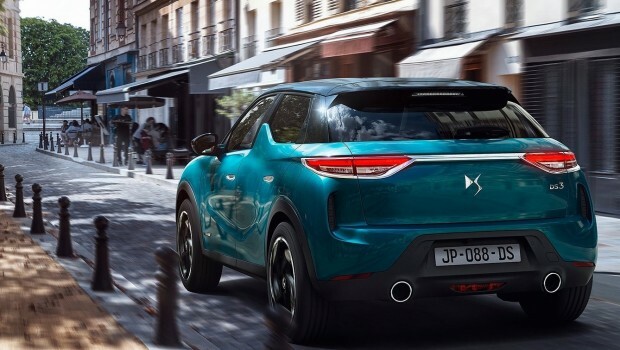 Elegant and attractive, DS 3 Crossback is for all those looking for a car with instant appeal that is stylish, high-tech, comfortable and dynamic. 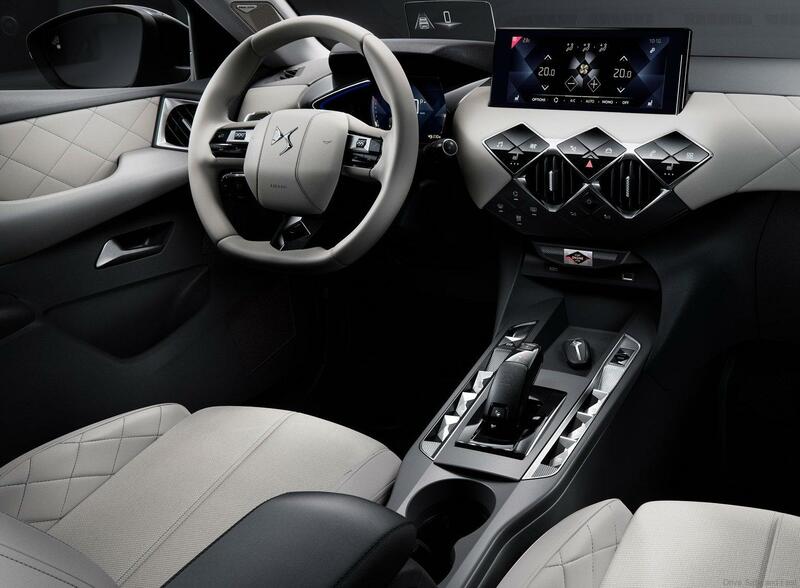 With DS 3 Crossback, occupants enjoy a level of comfort worthy of vehicles that occupy upper segments of the market. Comfort clearly starts with the seats. The body-hugging driver and passenger seats feature innovative bi-density foam for greater quality, without forgetting the electric control and heating functions. 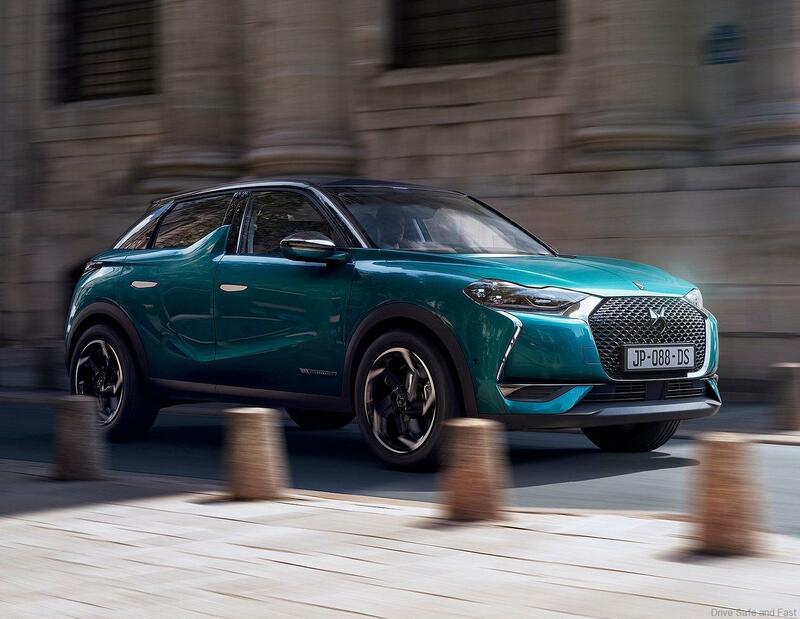 When the vehicle starts moving, the excellent NVH (noise, vibration and harshness) isolation provides high levels of comfort from the new platform of DS 3 Crossback. 100% Electric or 100% Thermic Petrol or Diesel (ICE), with no compromise in styling or features. 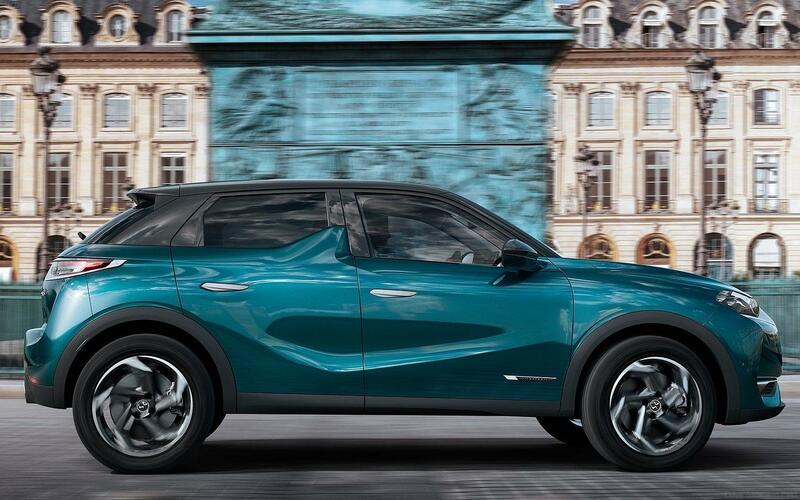 With DS 3 Crossback, the dream of a stylish electric vehicle becomes a reality. This first vehicle with distinctive and bold styling will be available from the second half of 2019 with an all-electric motor with advanced performance. It will deliver: more than 300km / 186 miles of autonomy – WLTP (Worldwide harmonized Light vehicles Test Procedure) cycle, corresponding to a range of 450 kilometres / 280 miles in NEDC (New European Driving Cycle) with a function to charge the battery to 80% in 30 minutes. This advanced level of performance does not detract from interior space, since the batteries are placed under the floor. DS 3 Crossback is opening new horizons: unlock and start your car using a smartphone through the MyDS app, lend it to the person of your choice without having to give them the key… These ‘dream’ functions are now a reality on DS 3 Crossback with the DS SMART ACCESS function via the MyDS app. 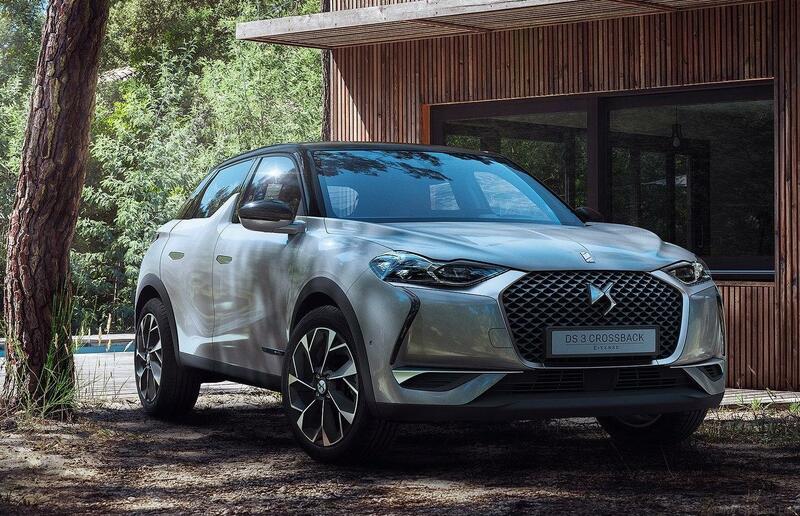 The architecture of DS 3 Crossback reflects the same protective approach, as illustrated by the height of the waist line, the thickness of the door panels and – above all – the presence of eight airbags. In terms of active safety, numerous innovations are available, including lane positioning assist, DS DRIVE ASSIST, information and adaptation of vehicle speed based on traffic sign recognition, lane keeping assist, etc. In terms of safety, D 34 sets new standard in its class with this range of advanced safety features, going beyond the requirements for 5 in the Euro NCAP protocol. Completing the array of features is a 10.3″ entertainment screen in HD format (the largest in its class) with smartphone mirroring and connected navigation. It is positioned at the top of the fascia to ensure visibility while driving.